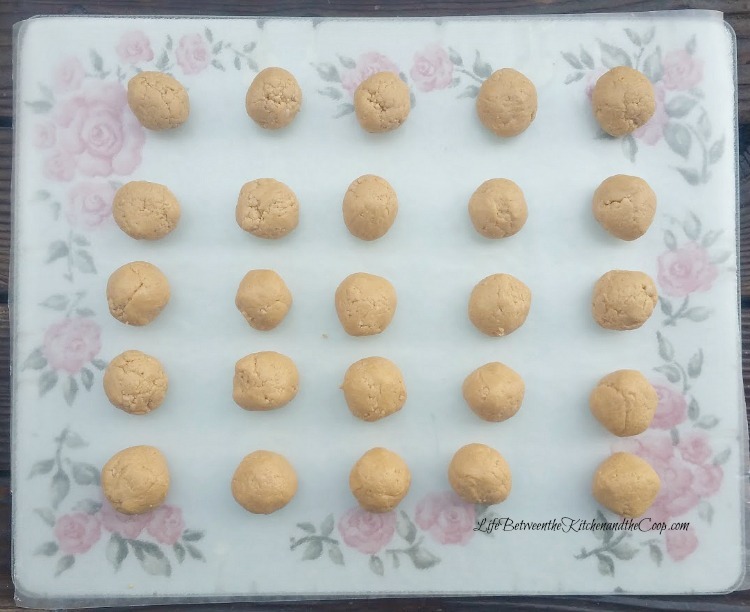 I want to share the recipe with you showing how to make these easy no bake peanut butter balls! They are a delicious treat you can use for any holiday or “just because”. I decorated these in Valentine’s Day colors, but you could make it a Christmas recipe by decorating red and green, or likewise for other holidays or parties. 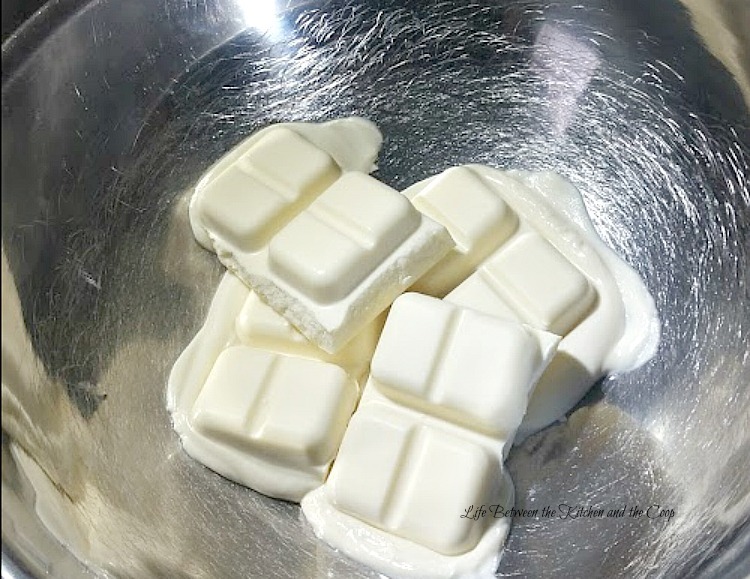 They are easy to make and only use a few ingredients. 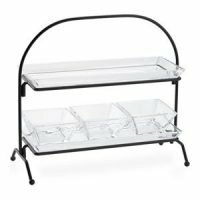 Your kids will love helping you make them! Put all of the ingredients EXCEPT for the almond bark into a large bowl and mix with a hand mixer until smooth. Roll the mixture into 1-1 1/2 inch balls. Freeze for an hour or two to firm them up (that way they don’t slide off of the toothpick when you dip them in the melted almond bark). When the peanut butter balls are firm and ready to dip, melt the almond bark in a double boiler or slow cooker on low heat (double boiler is faster). Don’t have a double boiler? No problem! Just fill a medium-sized saucepan half-way with water, then put a larger metal bowl on top. Stir the almond bark occasionally while it melts. As the water boils, it will heat the bowl and melt the almond bark! Once the almond bark has melted and is smooth, stick a toothpick into a peanut butter ball and submerge in the almond bark. Place the coated peanut butter ball on waxed paper to dry and remove the toothpick. If there is a visible hole where the toothpick was, you can just drizzle a drop of almond bark on it to cover it. 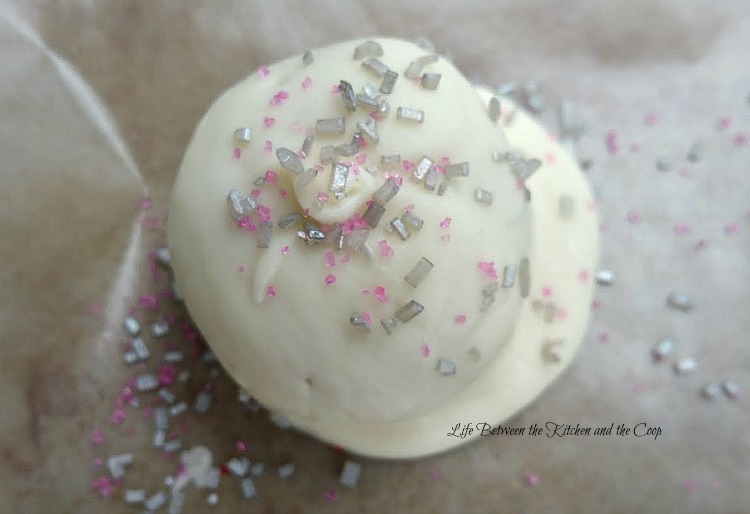 If you like you can sprinkle on colored sugar or pipe on a different color of candy coating for decoration, such as for a cute no bake Valentines treat or Christmas treat. 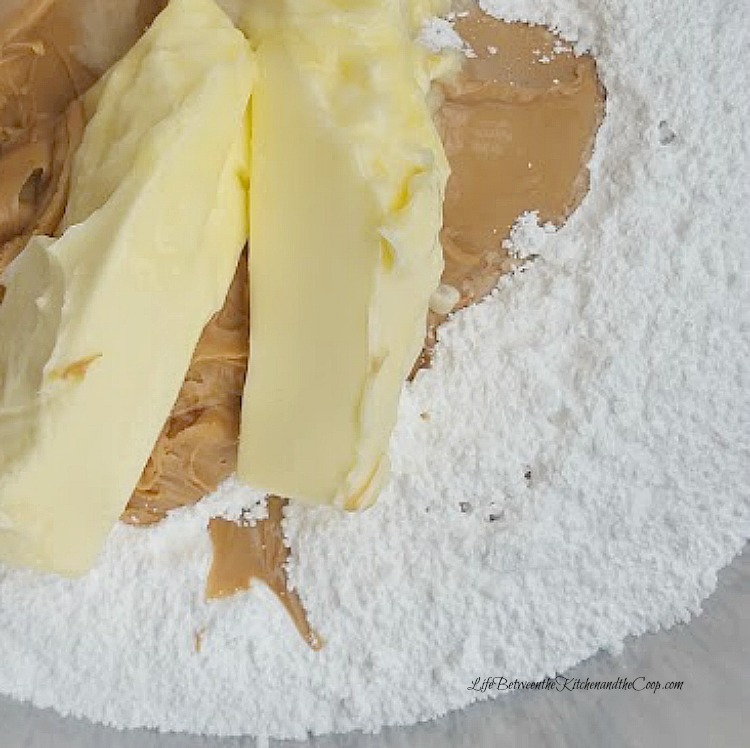 Allow the no bake peanut butter balls to dry completely. Trim off the excess almond bark around the edges. If needed, a potato peeler works well to smooth the edges. Now you have beautiful, tasty treats! Enjoy your no bake peanut butter balls! 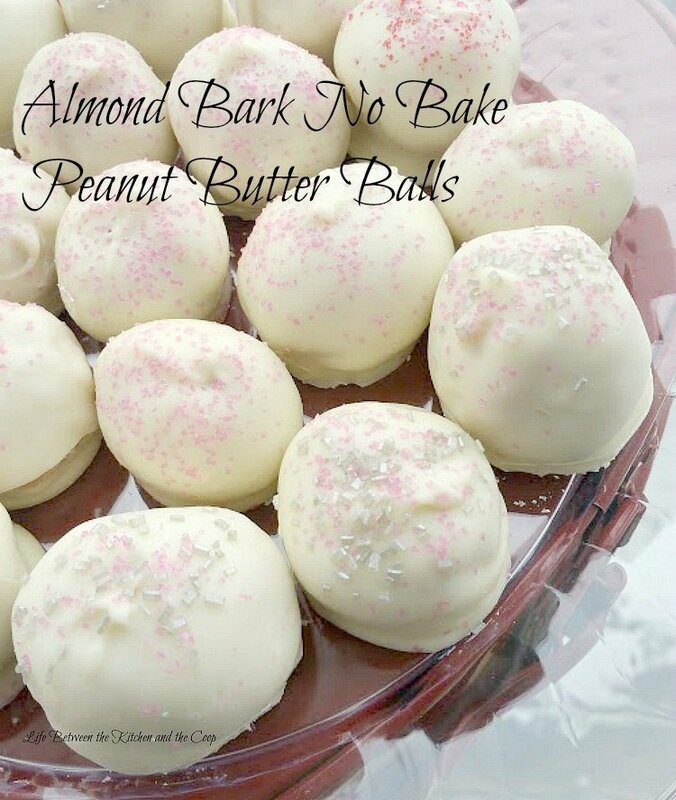 With Valentine’s Day coming soon, I want to show you how to make these easy almond bark no bake peanut butter balls! 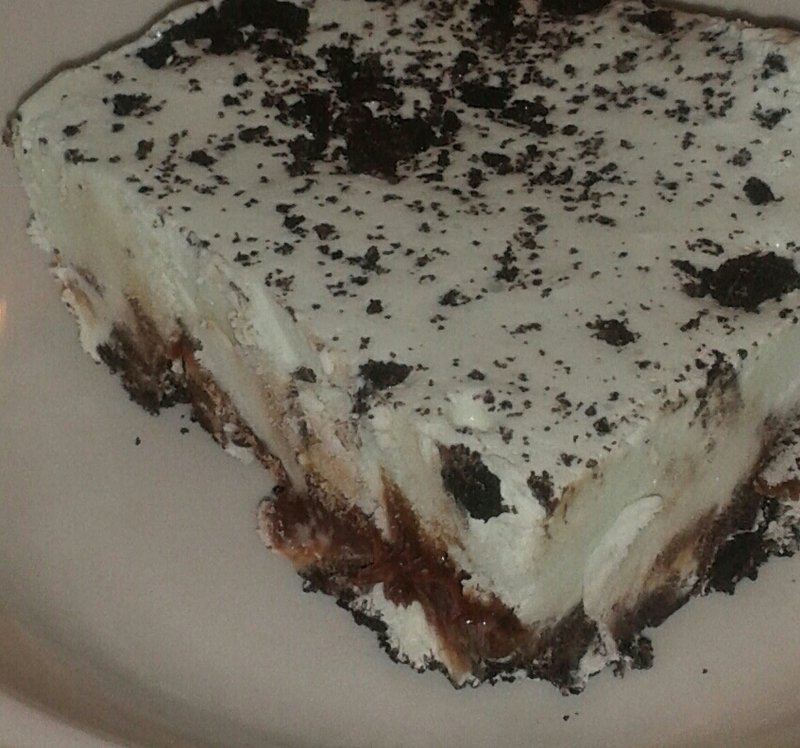 They are a delicious holiday treat or you can make them “just because”. I decorated these in Valentine’s Day colors, but you could do them for Christmas treats or other holidays and events! Freeze for an hour or two to firm them up (that way they don’t slide off of the toothpick when you dip them in the melted almond bark). When the peanut butter balls are firm and ready to dip, melt the almond bark in a double boiler or slow cooker on low heat (double boiler is faster). 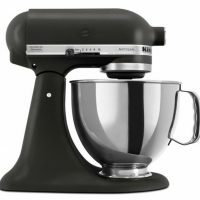 Don’t have a double boiler? No problem! Just fill a medium-sized saucepan half-way with water, then put a larger metal bowl on top. Stir the almond bark occasionally. As the water boils, it will heat the bowl and melt the almond bark! Once, the almond bark has melted and is smooth, stick a toothpick into a peanut butter ball and submerge in the almond bark. Place the coated peanut butter ball on waxed paper to dry and remove the toothpick. If there is a visible hole where the toothpick was, you can just drizzle a drop of almond bark on it to cover it. Trim off the excess almond bark around the edges. If needed, a potato peeler works well to smooth the edges. Now you have beautiful, tasty treats! Enjoy your no bake peanut butter balls! 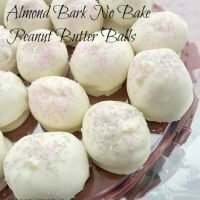 These are almond bark no bake peanut butter balls are great for Valentine's Day, Christmas, as well as other holidays and events! P.S. If you want another delicious treat idea, you should definitely try my gooey, yummy caramel corn recipe!